Low Volume Valentine...14 fat quarter bundle...exclusive grouping. 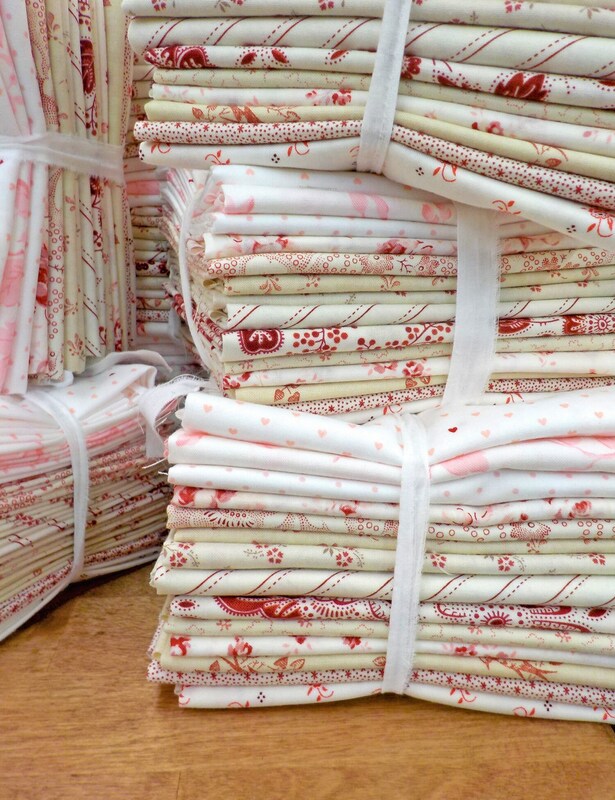 Lovely Low Volume Valentine...this collection of delightful red and soft prints on white, cream, tan, or beige is the perfect starter bundle for your next project. Thank you for getting these lovely fat quarters to me so quickly. We're expecting nasty weather on Tuesday and I plan to cut them up then! Unique fabric bundles and great service!